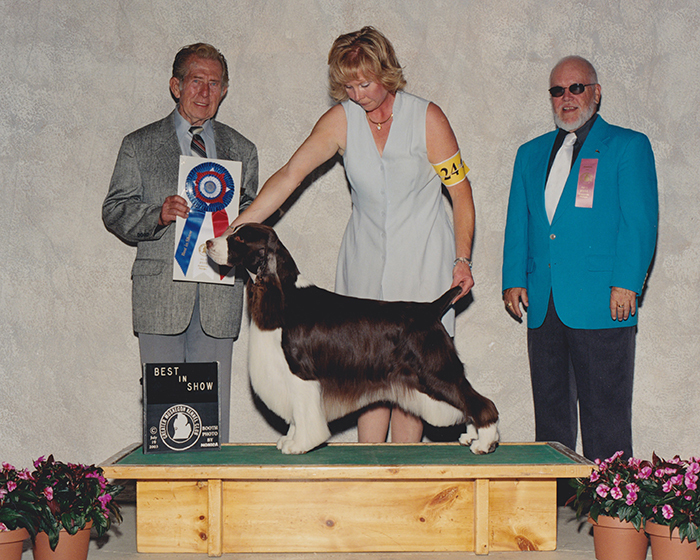 Mel won the Pedigree Award for Springers in 2003 and was Best of Opposite at our 2004 National. He won 3 BIS and had many group placements. 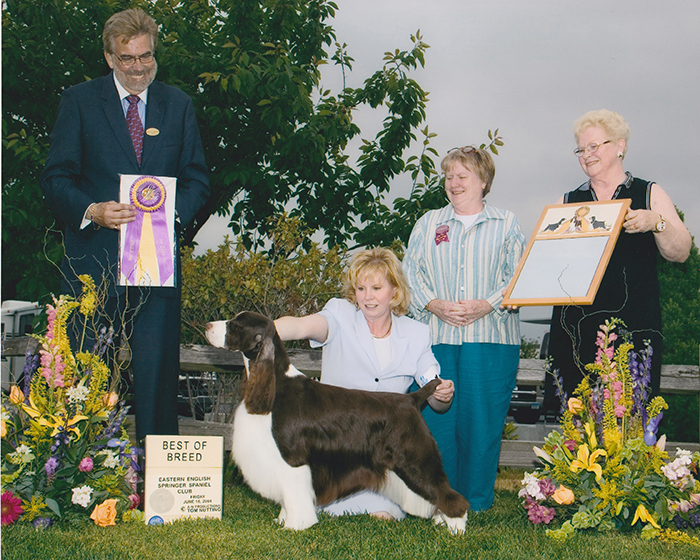 He is the first Telltale dog to earn his novice agility title, which Celie put on him in 1997. Mel's retirement home is with a loving family in the Windy City.